The Pops Gustav Archive: Stop Motion Masterpieces! When “King Kong” hit the big screen in 1933, it caused a sensation unlike any movie up till that time. Pioneering stop motion artist Willis O’Brien’s jerky giant ape may seem quaint by today’s standards (you can see how the manipulators left handprints on Kong’s rustling fur), but back in the 30s, audiences had never seen anything so spectacular. While Peter Jackson’s new Kong promises to deliver the goods this Christmas, it’s more than doubtful he’ll have a fraction of the lasting impact as the original 8th Wonder of the World (something Jackson no doubt acknowledges). We’re so jaded by what ever-improving CGI technology can bring us that we never ask, “How did they DO that?” anymore... which is really quite a shame. The French-Russian-Polish director Wladyslaw Starewicz’s 1910 beetle-battle short, “Lucanus Cervus” is reportedly the first animated puppet film and began a series of stop motion pictures utilizing insects and animals. But it’s his 1934 short, “The Devil’s Ball” that feels most groundbreaking over 70 years later. In the film, the devil emerges from a bottle of booze and hosts a party for a menagerie of grotesque creatures... and one beautiful girl who is attacked by an amorous monkey. Avian skeletons, living vegetables, debaucherous demons and a tough guy who looks just like Willem Dafoe (really!) dance, drink, smoke, assault and kill in this disturbingly beautiful short. 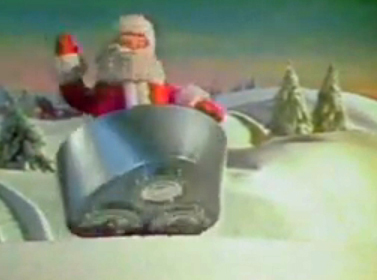 We realize it’s breaking all precedent to list a commercial in this column (mentioning TV shows is pushing the format), but for generations of Americans, seeing the Norelco commercial where Santa Claus rides an electric shaver through the snow became an annual tradition as important as hanging the stockings! Those knuckleheads at Norelco stopped running the ad in 1996, but wised up in 2002 and brought back the smiling Santa (although come to think of it, isn’t a guy with an enormous beard a bad spokesman for a razor?).... Okay, let’s move on. Director Don Chaffee’s adaptation of the classic Greek adventure tale would be dismissed as a simple B-Movie were it not for the stop motion effects of Ray Harryhausen . Aside from bringing to life legendary monsters such as the winged harpies and the mulit-headed hydra, the movie boasts a still-spectacular battle between the Argonauts and an army of sword-wielding skeletons. For this epic battle scene alone, Harryhausen’s name will forever be synonymous with stop motion animation, and he went on to tackle more big screen epics such as the dinosaur flick, “the Valley of Gwangi ” (1969), “Sinbad and the Eye of the Tiger ” (1977) and “Clash of the Titans ” (1981). 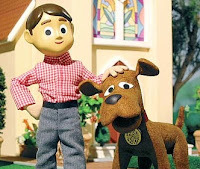 For many of us, the “Animagic” TV specials by Rankin/Bass were our first exposure to stop motion, and, after all these years, remain our favorite, particularly the adaptation of the Johnny Marks song, “Rudolph, the Red-Nosed Reindeer.” Featuring such indelible characters as Hermey (not “Herbie” as people often mistakenly call him) the misfit elf who wants to be a dentist, gold / silver prospector Yukon Cornelius, the Abominable Snow Monster (aka, “Bumble,”) and of course, Charlie-in-the-Box, this charming, funny, moving hour has (despite some period chauvinism) become a perennial classic, inspiring dozens of tributes and parodies, including Mad TV’s hilarious “Raging Rudolph” short by Corky Quakenbush. For some reason tagged with a question mark in the main titles, “Mad Monster Party” was Rankin/Bass’s campy theatrical feature that brought classic cinematic beasties the Wolfman, Dracula, the Creature (from some other Lagoon), the Invisible Man, the Mummy and Dr. Jekyll / Mr. Hyde to a gathering at Dr. Frankenstein’s castle. When the evil Dr. announces his nerdy nephew Felix (voiced by a Jimmy Stewart impersonator) is going to take the reins of the Worldwide Organization of Monsters, the others revolt and plot to gain control. 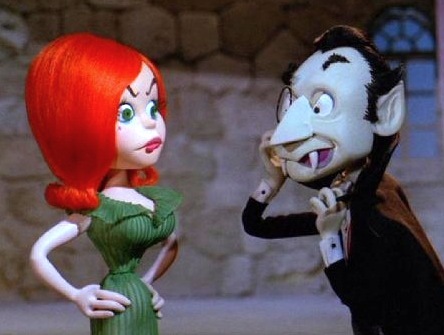 “MMP” also features the most voluptuous puppet in history (the redheaded Francesca) and the odd casting of Phyllis Diller, playing herself as the bride of the Frankenstein monster. Hugely influenced by Wladyslaw Starewicz, as well as Czech animator Jan Svankmajer, the Brothers Quay combine an industrial esthetic with puppets made out of old dolls, bones and other props from an episode of “CSI.” Considered by most fans their quintessential work, “Street of Crocodiles” depicts an ancient Kinetoscope in which puppets perform bizarre rituals inspiring not only nightmares, but darn near every music video by Tool, Marilyn Manson and Nine Inch Nails. Arguably the best-loved of Nick Park’s Wallace and Gromit series, “The Wrong Trousers” pits the claymation duo against a duplicitous penguin who plots to use a pair of mechanical pants invented by Wallace (so Gromit can walk himself) to commit a daring jewel heist. The action-packed climax on a speeding miniature train is not only gut-bustingly hilarious, it’s genuinely exciting. 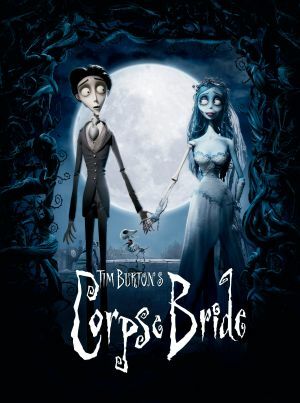 The film that launched a thousand Goth accessories, “Tim Burton’s the Nightmare Before Christmas” (directed by Henry Selick) was (amazingly) the first stop-motion feature to receive worldwide distribution. It’s the charmingly retro tale of how Jack Skellington of Halloweentown accidentally discovers the existence of Christmas and struggles to understand its meaning while scaring a lot of little kids in the process. What makes “Nightmare” so remarkable in its success is how unabashedly old fashioned this musical homage to “Rudolph” is (Goth imagery aside). Stop motion animation is an aspect of filmmaking that, like hand drawn 2-D animation, physical pyrotechnics and living actors, seems in danger of being made obsolete by computer technology. Let’s hope not, because as Hermey and Rudolph taught us, there’s always a need for the misfits (you hear us, Buzz Lightyear?!). Do you think Joan from MAD MEN was based on Francesca?